Why would I need self storage in Kaneohe, HI? There are a variety of reasons why you might need self-storage in Kaneohe, HI. How much is a storage unit in Kaneohe, HI? The cheapest storage unit in Kaneohe, HI is $59.00 per month. What size storage units do you have available in Kaneohe, HI? In Kaneohe, HI we have sizes that range from 4'x5' to 10'x10' to suit your storage needs. How much is it for a 4'x5' storage unit in Kaneohe, HI? The cheapest 4'x5' storage unit in Kaneohe, HI is $59.00 per month. Kaneohe is a thriving community on the Hawaiian island of Oahu, one of the largest communities along Kaneohe Bay. In the Hawaiian language, the city's name translates to "bamboo man," named for an ancient Hawaiian story about a man that was supposedly as cruel as the sharp edge of bamboo shoots. In ancient times, Kaneohe served as an important agricultural center, with crops flourishing thanks to plentiful rainfall. It was a major food source for communities in the area, growing a variety of edible crops that helped their settlements grow. The lands were redistributed in the late 1940s under the reign of Kamehameha. The area was originally settled by commoners and rice was the main crop of the area; but in 1952, the rice industry floundered and pineapple became the main crop of the area. Unfortunately, this industry didn't last long, and agriculture as a whole declined. Today, the only major commercial crop in the Kaneohe area is bananas. In 1960, the Likelike Tunnel was completed,bringing more development to the area and encouraging the construction of residential areas to accommodate the growing population. Kaneohe is mainly a residential community and is one of the largest on the coast of Oahu. The community is only about 12 miles from Honolulu, where you'll have easy access to plenty of shopping, dining and entertainment venues. The Kamehameha highways runs through the town, allowing a number of commercial businesses to thrive along its edge. One of the area's most notable attractions is the Ho'omaluhia Botanical Gardens, providing the opportunity to see the beauty of the lush vegetation in Kaneohe. The Kaneohe Bay Sandbar is another popular hang out spot, an ideal place to enjoy the Hawaiian sun. Schools in Kaneohe are part of the Hawaii Public School District. In addition to several public schools in the community, you can also consider a handful of private elementary, middle and high schools. Utilities: Kaneohe homes receive their electricity from Hawaiian Electric, while the Honolulu Board of Water Supply manages the water and sewer systems. Garbage and Recycling: Most residential areas of Kaneohe are eligible for regular trash collection. Recyclables collection is provided to certain areas, and the city is working to expand the service. Transportation: Most of Oahu's developed areas, including Kaneohe, is served by The Bus transit system. The median home value in Kaneohe is considerably higher than the state average, due in part to the high demand for housing in the area. In general, the Hawaiian housing market can be fairly competitive, with affordable properties moving very quickly. There are also many rental options around the city, which can sometimes be a slightly more budget-friendly option. Our lowest priced units in Kaneohe, HI average $59.00 per month. 80 people have reserved units in Kaneohe, HI in the past 30 days. 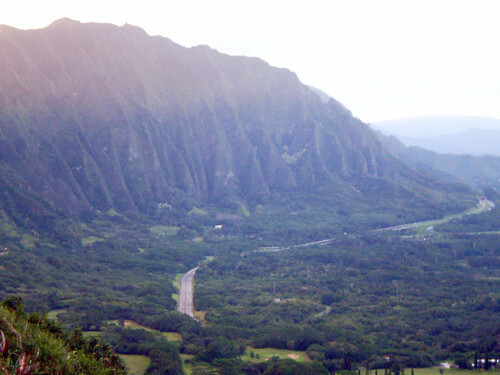 There is 1 location within Kaneohe, HI's city limits.